Running back Tony Jones Jr. has been part of explosive backfields for the past two seasons at Notre Dame. In 2017, the 5-foot-11, 222-pounder shared the load with Josh Adams and in 2018, Jones split carries with Dexter Williams. 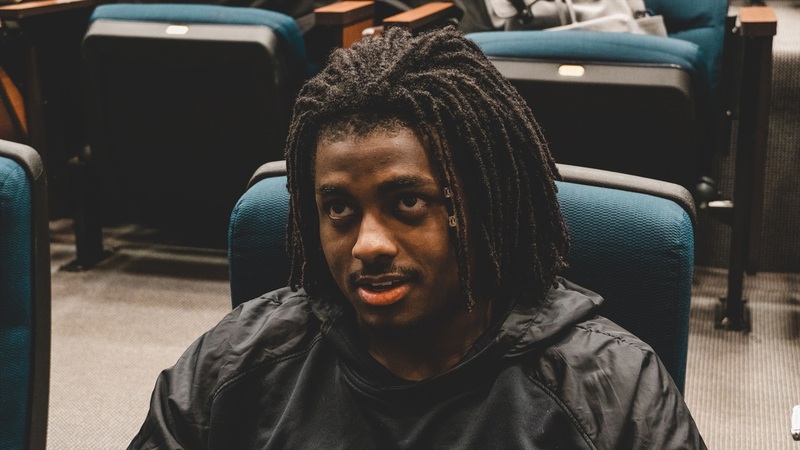 Entering the 2019 season, Jones is competing with Jafar Armstrong to become Notre Dame’s next workhorse. Jones ran for 392 yards and had scored a total of four touchdowns in 2018, but he feels a big season is on the way. “I’m more mature and taking my time with stuff,” said Jones. “I’m having more fun with it instead of making it so hard. Not that Jones lacked focus the last two seasons, but he was learning how to be a student-athlete and one who was getting significant playing time. Jones seems to have a little extra juice in his step this spring as he had made big plays in the run and pass game. While he’s heavier than a year ago, Jones believes he’s in better shape. The good health and extra motivation can be credited to Director of Football Performance Matt Balis, who has pushed Jones and his teammates to their max.